Need to know how to install an I-Joist? Looking for an I-Joist span table? Find the answers to these and other frequently asked questions about I-Joists. An I-Joist is an engineered wood joist, designed to eliminate the problems that occur when using traditional timber joists. The joists are shaped like an “I” and are lightweight, but strong. I-Joists are produced under strict quality control, so that natural imperfections that are found in natural timbers are none-existant. Because I-Joists are linear engineered products, they eliminate the natural defects and the need for over-design. An I-joist has two main parts, the web and flange. The web is sandwiched between a top and bottom flange, creating the “I” shape. Embedded video for How do you install I-Joists? What fixings are required for I-Joists? I-Joist to I-Joist fixings will be included in all packages. Andy and his team will determine the most effective Simpson hangers for the application based on the design. Where can I-Joists be used? Joists are most commonly used in floors but can also be used in roofs and studwork walls. Can you cut holes in I-Joists? Yes, holes can be cut in I-Joists to accommodate wires and piping. Holes should be positioned in the middle of the web. The location and maximum sizes of the holes can be calculated in accordance with the drawing and table opposite. Holes up to a maximum diameter of 20 mm can be made in any part of the web, as long as the distance between the hole edges is a minimum of 40 mm. In cases where the hole size exceeds permissible values, additional support can be added at design stage. How much do I-Joists cost? Considerable savings can be made due to the advanced engineered properties of the joist and the amount of time required for installation. To get a quote for your project, just contact the engineered timber team. For an idea of the savings available in cost and time, see our sample design. How do you work out I-Joist span numbers? When do I need to use joist hangers? Joist hangers will need to be used when a load is being distributed from one joist to another. Masonry hangers will also be required when a joist meets a masonry wall. 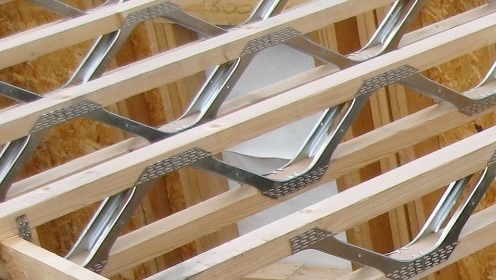 The number of hangers required and where they will be required will be included on your I-Joist design. Why are I-Joists better than timber joists? 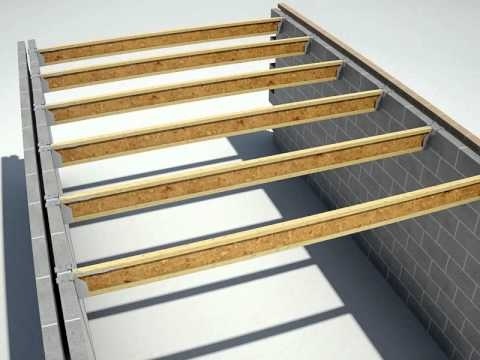 As well as providing virtually no shrinkage, eliminating the annoyance of squeaky floors, I-Joists are much easier and quicker to install – a great solution for those with time constraints. But just how much more time and cost effective are I-Joists? Find out here. What is the difference between I-Joists and JJI-Joists? Many people know I-Joists by their more common names: JJI Joists and TJI Joists. All of these are I-Joists, the JJI and TJI just refer to the names of the manufacturers. 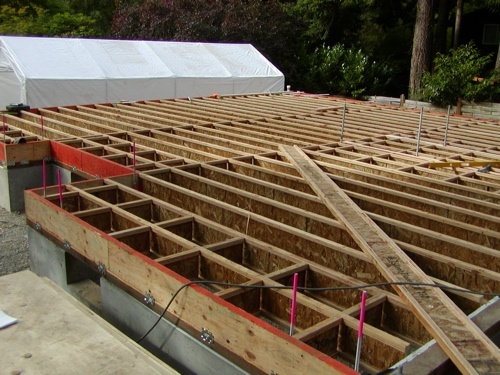 Our I-Joists are manufactured by Steico and then cut and packaged at our own I-Joist facility in Christchurch. Why do you use Steico to manufacture I-Joists? Steico manufacture their I-Joists from slow-grown spruce which is then machine stress graded, guaranteeing a consistant quality and defined mechanical properties. Both the preparation and manufacturing processes of the flanges, the webs and the installation of durable adhesives are carried out using the latest automated assembly lines. Steico believe in one simple principle: where no materials are needed, none are used. The I-Joists that Steico produce are highly efficient structures which is why we choose to work with them. What lengths of I-Joists can we provide? The maximum length of I-Joist we can provide is 13 meters – although this would be broken up over intermediate supports. How do I-Joists compare to Open Web joists? Open Web Joists have a very similar design rate but offer easier installation of services. However, Open Web Joists are considerably more expensive than I-Joists. Not sure whether you’re better off using I-Joists or Open Web Joists? Our team can advise you on the best course of action based on your design and requirements. What lead time should I expect when ordering I-Joists? Our team will do everything possible to meet your schedule. Our lead times on I-Joists varydepending on the size of the job and the order book. Do you still have a question about I-Joists? Would you like a quote for your next project? Just drop a message to Andy and the team with your location and requirements.